Annually, we welcome hundreds of students/trainees from all health disciplines including medical, dental, nursing, and behavioral health. We also partner with the Weitzman Institute for research and project-based education and training opportunities. Our students/trainees come from a variety of educational institutions including American International College, Columbia University, Fairfield University, Fordham University, Quinnipiac University, Springfield College, University of Connecticut, University of Bridgeport, University of New Haven, Wesleyan University, Yale University, and more. Each student placed in a position receives boarding and training to CHC’s environment and technology. CHC matches the accepted student(s) to a mentor who is committed CHC’s model of standards and practices. 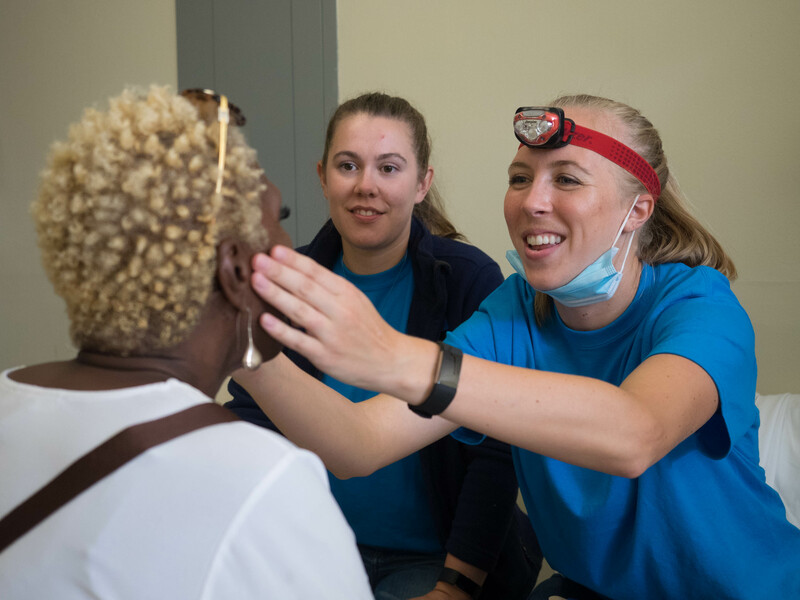 Students work as part of a team-based, interprofessional collaborative care model. In this model, behavioral health clinicians, primary care providers, nurses, dentists and pharmacists all work closely together, sharing the same electronic health record and often seated together in the same pod. Students are immersed in data driven, continuous front line quality improvement and they receive ongoing feedback on their performance. CHC will request ongoing feedback from the student on their experience relative to their expectations. CHC is nationally recognized as an industry leader for the quality of its care, the expertise of its staff, and its innovations in technology, healthcare delivery, and clinical quality improvement. CHC is accredited by the Joint Commission under ambulatory and behavioral health standards and is recognized by the NCQA as a Level 3 Patient-Centered Medical Home, and by the Joint Commission as a Primary Care Medical Home. If you have an interest and don’t see your field listed, contact us! EDUCATIONAL INSTITUTIONS: CHC requires a formal affiliation with our academic partners. Educational institutions interested in developing a new agreement should contact Leticia Orozco at [email protected]. Students get hands-on experience in a clinical setting. Students are fully integrated into the CHC team.